The Iron Bridge project is targeted to produce 22 million wet metric tonnes per year once full operational capacity is achieved. First ore will be delivered in the first half of 2022, with ramp up to full production within 12 months at an all-in sustaining cost of $US45–55 per dry metric tonne. 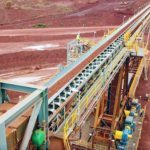 This project will also deliver a premium product with iron content of 67 per cent, further enhancing the range of products available to Fortescue’s customers, according to Gaines. When combined with the Eliwana development, the Iron Bridge expansion will increase Fortescue’s average product grade and provide the ability to deliver the majority of the company’s products at greater than 60 per cent iron, consistent with Fortescue’s long-term goal. Coincidental to news of the approval, Fortescue has also updated the Iron Bridge’s magnetite mineral resource estimate, with ore reserves climbing up to 716 million tonnes on June 2018’s 705 million tonnes. 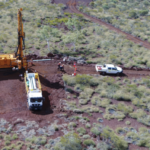 “This update supports the development of stage two of our Iron Bridge magnetite project announced today which holds Australia’s largest JORC compliant magnetite resource,” Gaines said. 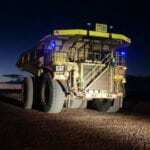 “We are confident in the long-term demand for this premium product, supported by market fundamentals, including global supply conditions, investment in higher efficiency steel-making capacity, as well as the competitive advantage of proximity of the Pilbara to key markets in China and the region. 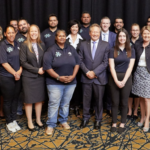 FMG Magnetite is a subsidiary of FMG IB, a Hong Kong registered company owned by Fortescue (88 per cent) and a subsidiary of Baosteel Resources International Company (12 per cent).